A picture postcard image of the Jack and Jill / Clayton Mills, c.1904. 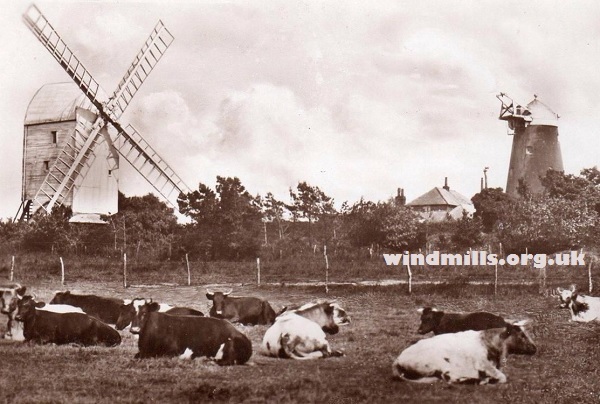 The ‘Jack and Jill’ mills are located in Clayton about seven miles north of Brighton and Hove in Sussex, south-east England. An early 1920s image of Clayton Mills in Sussex. ‘Jill’ is a post mill built in Brighton and dating back to 1821. It was moved to its current site in 1852. It was last used commercially in around 1906. ‘Jill’ is in private ownership. ‘Jack’ is a five storey tower mill with a domed cap. It was built in 1866 to replace an earlier mill present on the site. The mill is believed to have last been used in 1907. ‘Jack’ has been restored, is in working order and is owned by Mid Sussex District Council. Both ‘Jack’ and ‘Jill’ were originally corn mills. 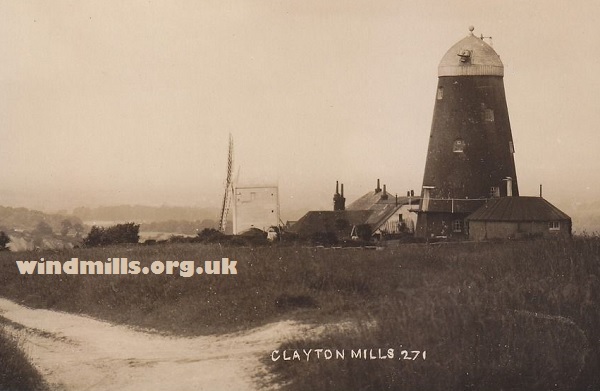 The Clayton (or Jack and Jill) Windmills in the 1930s. 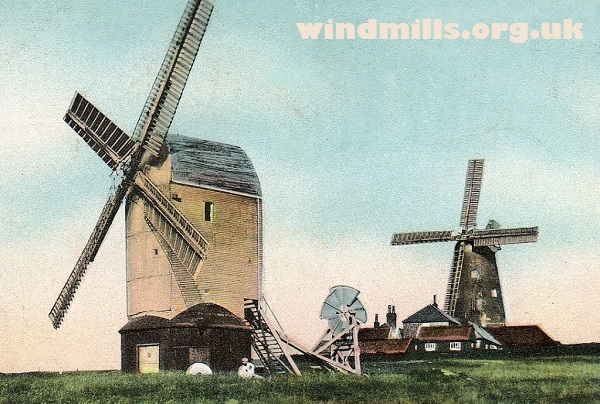 The Jack and Jill windmills were featured in the 1973 film ‘The Black Windmill’, starring, Michael Caine and Donald Pleasance. This entry was posted in Old Images, Windmills and tagged Clayton, Jack and Jill, mills, windmills on April 9, 2015 by Tower Mill.